If you read the news, it’s easy to assume that there is little possibility of you ever owning your own home. Although there are some steps you need to take to ensure you’re on the right path, buying a property in Perth doesn’t have to be as complex as you first thought. 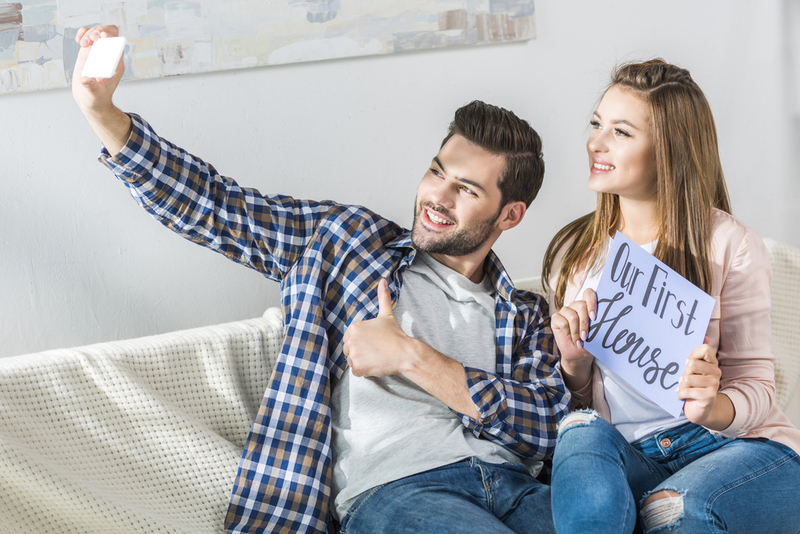 Many would think that you need a slew of cash to buy your first property in Perth, but there is help available for those taking the first steps into the world of homeownership due to some Government-aided programs. One of the biggest deterrents when buying a property can be the financial aspect. However, the Government has noted how difficult it can be to get onto the property ladder, and have introduced grants and programs that look to ease the pressure, and allow for more opportunities when it comes to purchasing property. For example, a First Home Owner Grant of $10,000 is available for first home buyers who are building a home, or purchasing a newly built home. First-time buyers can also avoid Stamp Duty fees, thanks to the First Homeowner Rate. In a bid to help first-time buyers purchase their first home, the First Home Owner Grant was introduced. Put simply, the First Home Owners Grant (FHOG) is a one-off $10,000 payment from the WA State Government that is designed to assist first home buyers to buy or build a residential property. Although the name hasn’t changed, many of the rules associated with the grant have. For example, the First Home Owner Grant can no longer be used towards the purchasing of established homes, but rather newly-built properties, or property that has not been used as a residential premise in the past. The maximum value of the home can be no more than $575,000 if you wish to apply for the grant. The grant is directly paid to the applicant and applications for the grant are made via an approved agent, such as your mortgage provider. However, should this not be possible, those wishing to apply for the grant can also complete an application form and forward it to the following address. You are an Australian citizen or have a permanent residence. You’ve not owned a residential property in Australia before 1st July 2000. You are aged 18 years old or above. You have not been in receipt of a First Home Owner Grant in Australia. The premises you are purchasing will be your principal place of residence for at least six months, within 12 months of receiving the grant. If you’re struggling with providing certain documentation, then you may be able to present alternative documentation. If you feel that this will be the case, you can refer to this form which outlines what other forms of identification can be presented to support your application. It’s worth reiterating that the First Home Owner Grant cannot be used for a property that is already established as residential property and has been lived in before. The grant applies to any building that has been converted for residential use, or the building of a completely new home. The rules in place apply to all parties making the application. For example, if your spouse has been in receipt of the grant in the past, then this will mean you won’t be eligible. While this can be seen as a drawback, it’s still an avenue that’s worth exploring, especially when you consider the financial benefits. The grant is normally paid at the time of settlement. In most instances, the grant will be paid to your mortgage lender, as most are authorised to receive the grant on your behalf. Those who decide that a new build is the way forward can expect to receive their grant once their mortgage lender has issued the loan payment. Buying a new home can be an expensive endeavour, so it makes sense to take advantage of any financial assistance that may be on offer. Although the grant can do a lot to help first-time buyers in relation to costs, there can be still a lot to pay in relation to stamp duty. Fortunately, those who are purchasing their first home in Western Australia do not have to pay stamp duty on any property valued under $430,000. Should the property be more, then there will be a concessionary rate of $19.19 per $100.00 up to a value of $530,000. Of course, you may want to obtain a figure that reflects your current circumstances. You can use the transfer duty calculator to find out how much you could save when purchasing your first home. The First Home Owner’s Rate will often be taken care of by an approved agent. However, if this isn’t the case, those wishing to take advantage of the rate can be lodged with the Office of State Revenue. As you would expect, only those who are making a purchase for the first time will be able to take advantage of the rate. So, if you’ve ever owned property in Western Australia before, then the rate won’t apply. Evidently, there are pros and cons with the First Home Owner Grant, but let’s be honest, any form of free money is at least worth some consideration. The housing market has changed, and not necessarily for the better. Much of this can be attributed to the demand for housing, with little progress being made when it comes to the building of new properties. This can explain why the rules associated with the grants change frequently, as it allows the Government to invest in the market in the right way, and ensure that there is a viable housing market for future generations. If you’re worried about filling out lots of forms, try not to worry too much. In most instances, the mortgage provider you use will be well-versed in such matters, and will offer guidance on these when putting your application together. It can be worth making enquiries to ensure that the provider you use is able to take care of the administration. This leaves you more time to find the perfect property.